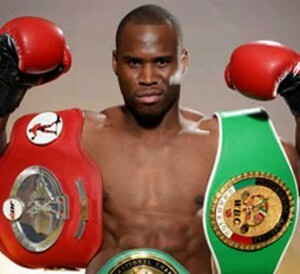 The worst night of Adonis Stevenson’s championship reign has now extended far beyond the ring. Not only did Oleksandr Gvozdyk rally to stop Stevenson in the 11th round of their light heavyweight scrap in Quebec City, but the fight ending sequence forced the exiting champ to be rushed to a nearby hospital where he remains under medical attention. “Adonis is currently in a critical condition in intensive care at the hospital,” Yvon Michel, Stevenson’s promoter revealed via social media. Stevenson (29-2-1, 21KOs) entered the night as both the sport’s longest-reigning and oldest champion. The 41-year old Haitian-Canadian won the crown in a stirring 1st round knockout of Chad Dawson in June ‘13, with nine successful defenses spray painted over 5 1/2 years. That came to a crashing halt on Saturday, when Gvozdyk bartered Stevenson into submission with a vicious onslaught that left the exiting champion slumped in a corner. Referee Michael Griffin immediately waved off the contest, a rare shining moment on an otherwise miserable night of officiating on both sides of the ropes. Griffin missed a clear 3rd round knockdown for Gvozdyk when Stevenson was felled by a right hand, and then again in the 10th – this time for the defending champ after a clear shot to the chin wobbled the visiting challenger, with only the ropes breaking his fall. Gvozdyk’s fight-ending sequence proved necessary, as he was trailing on two of the three scorecards. He was down 96-94 and 98-92 at the time of the stoppage, but overcame horrific scoring to leave Canada as the new light heavyweight champion. Unfortunately for Stevenson, he couldn’t even leave the arena on his own.